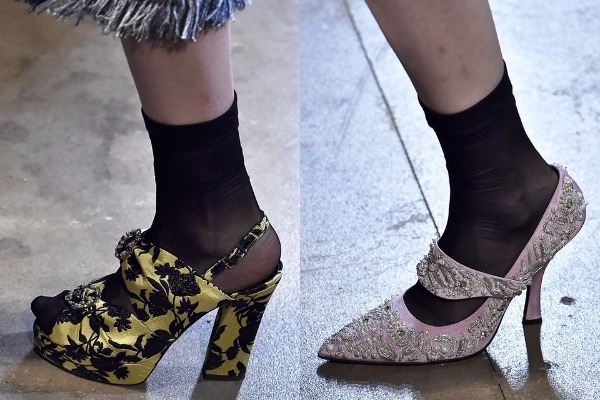 The London Fashion Week Spring 2018 left us in aww revealing colorful shoes, crocks and heels. 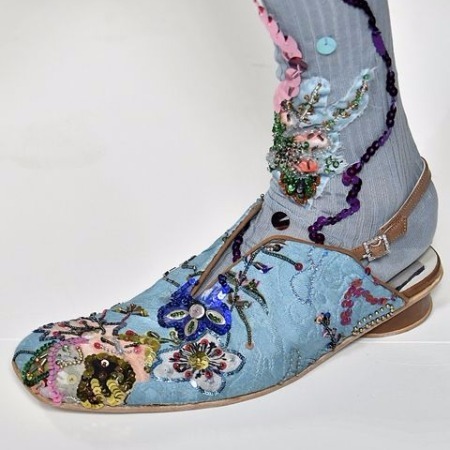 London Fashion Week is one of the prestigious fashion parade where we see loads of creativity and artistry designers play around with their clothing and shoes line. London is blessed with ace designers Christopher Kane, Alexander McQueen and Stella McCartney who showcase every-year their finest line of collection. 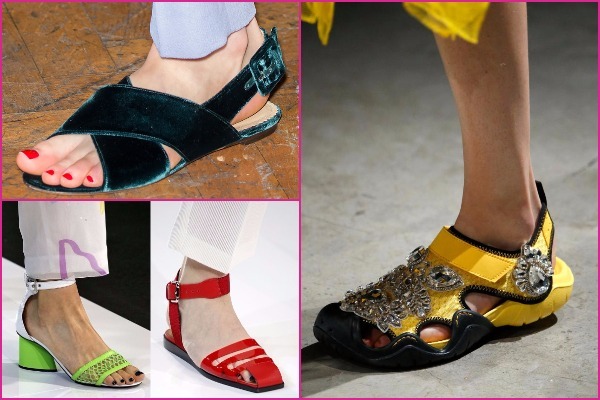 Be it clothes or just shoes only, the world goes crazy over these fashionable heels, shoes and crocs. That’s what we witnessed from the latest London Fashion Week Spring 2018. 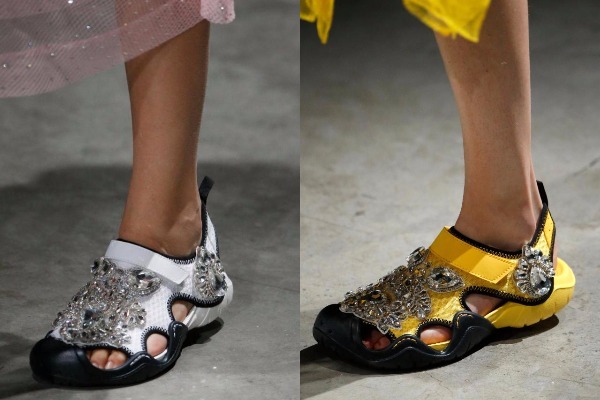 The ramp had the world’s best collection of embroidered crocs, strappy heels, ballet flats and wedges. 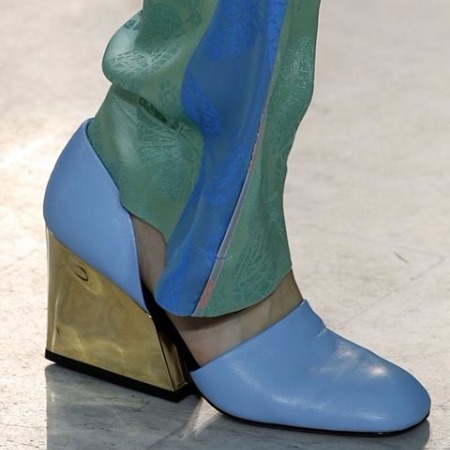 The designer presented the fresh and modern collection of shoes and sandals. 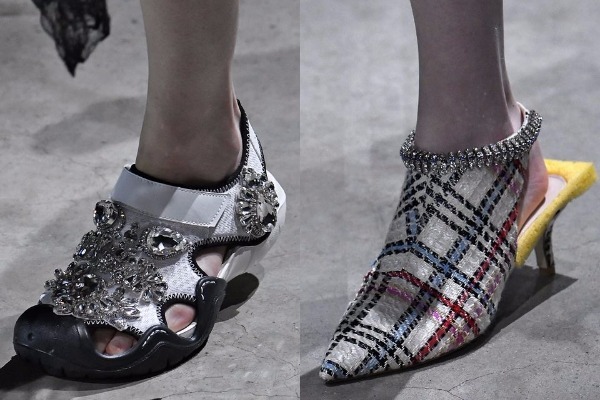 Christopher Kane unveiled heavily embellished crocs on the ramp. The designer completely changed the crocs game with vibrant color. They are priced from £32 up to £475 depending on the embellishment. 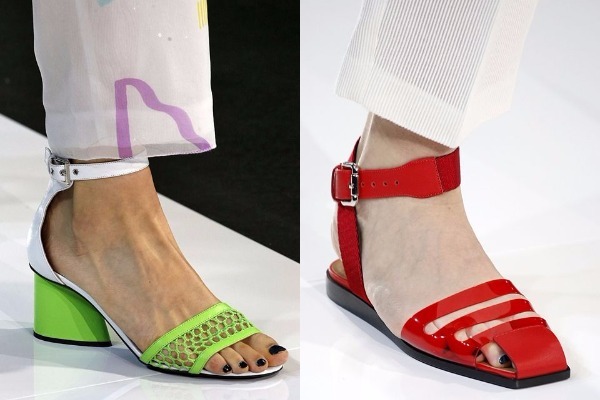 Preen By Thornton Bregazzi showcased bold color and peppy embriodered sandal. 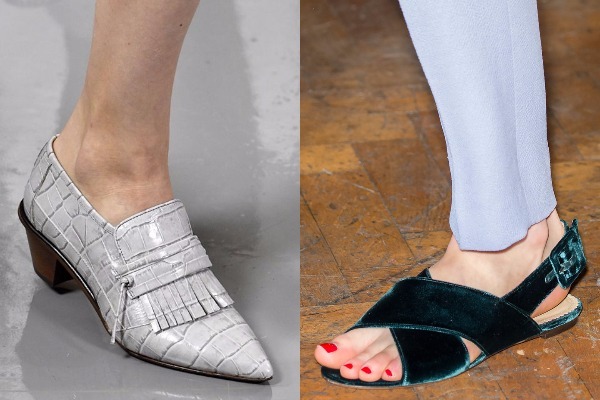 These are the best picked sandals and heels Eventznu picked from the London Fashion Week Spring 2018. Next : Confirmed! Sources Reveal Kylie Jenner Is Two Months Pregnant, It’s A Girl!